Lake Superior and all the Great Lakes are forecast to get warmer, stormier and dirtier as climate change continues to impact the region, according to a new report released Thursday. News Tribune file photo. The Great Lakes region already is warming and changing faster than much of North America — and will continue to do so as global warming increases. That was the summary finding of a new report, released Thursday, compiled by 18 scientists from across the region, both U.S. and Canadian. The scientists gathered data from a broad range of previous studies that looked at ecosystems, economics, climate, agriculture and human health. It was called the most comprehensive assessment of climate impact on the region ever compiled. The authors said the Great Lakes will see more algae blooms, more harmful bacteria in the water, more intense storms and warmer temperatures — all of which will impact humans, fish and wildlife as ecosystems reel under the stress. The changing climate is impacting snowfall, ice cover — both how much and how long it lasts — and rainfall as well as water levels and storm damage around the lakes. Lake Superior has seen several "unprecedented"' algae blooms in recent years due to warmer water temperatures and storms, said Lucinda Johnoson, associate director of the Natural Resources Research Institute at UMD and one of the report's leaders. 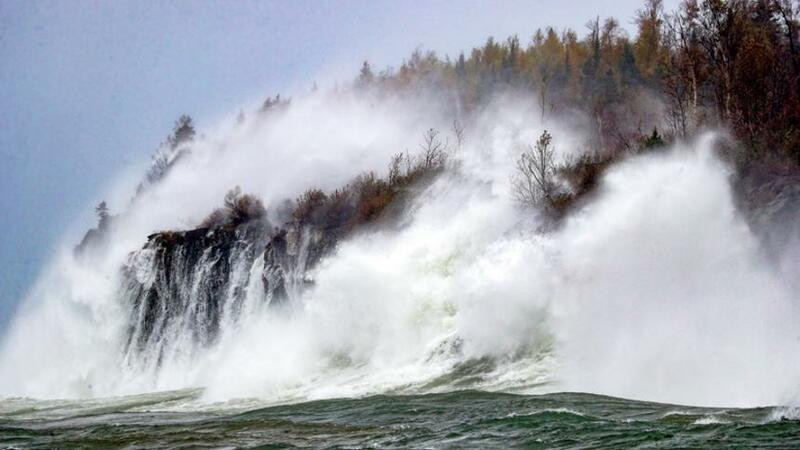 The Lake Superior region has seen three different "500 year storms" since 2012 alone, Johnson noted, causing widespread economic and ecological damage from wind, waves and flooding. But the big storms also bring runoff into the water that, when the waters calm, spurs algae, something that hadn't previously happened in Lake Superior. Read also New report warns of dangers to Great Lakes health and economy from climate change (Phys.org) . . .